Sitting in my small student bedroom at home in Barbados I sighed. It was that time of the month and even if I wanted to shake it I was craving chocolate and lots of it. Never having a permanent sweet tooth I looked out of the airless window. The summers were getting hotter in Barbados and my sweat was sandy and I felt eternally parched. That is when I saw him/ it. A small van cranking out an unfamiliar melody. This wasn’t the BICO truck. Who was he/ it. A smooth dark face with big eyes,straight nose and hair plait back in cornrow, held back with a stocking drove the mini van. “Is he selling ice cream?” I asked my mother who lazily lounged in the house. ” How should I know Taymer I never saw that van before!” He was parked about 100 metres from my house which was strange because there was no sight of children. Maybe he saw when I peered through the wooden louvers, maybe he knew I was craving a sweet chocolate treat, maybe he just had to stop. After the money was exchanged from my now sweaty palm I went inside and tore off the metallic wrapping and sat on my bed with my mother eagerly looking on. I bit in the hard chocolate segment fell on the ground and almost immediately started to melt under the hot Bajan summer. The chocolate coating was sugary sweet and rich and the ice cream in the middle was just as rich. When I see magnums displayed in freezers all over the world secretly I feel for a split second to give up my veganism for that few minutes of that pleasure I first had on that hot Bajan summer back in the 90’s. I never succumbed to this temptation of perfection in foil wrapping but I ended my cravings this summer with four versions of my favourite ice cream bar. Yep I love them so much I made four different kinds and now you can make them. 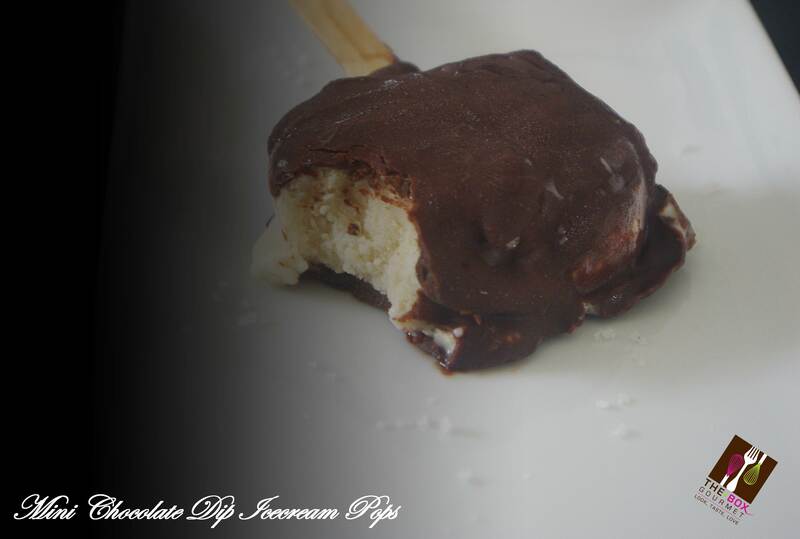 This version uses a 3/4 fat vegan ice cream recipe with vanilla extract that turns the cream slightly off- white. The ice cream is frozen in a rectangular Tupperware contained and sliced. 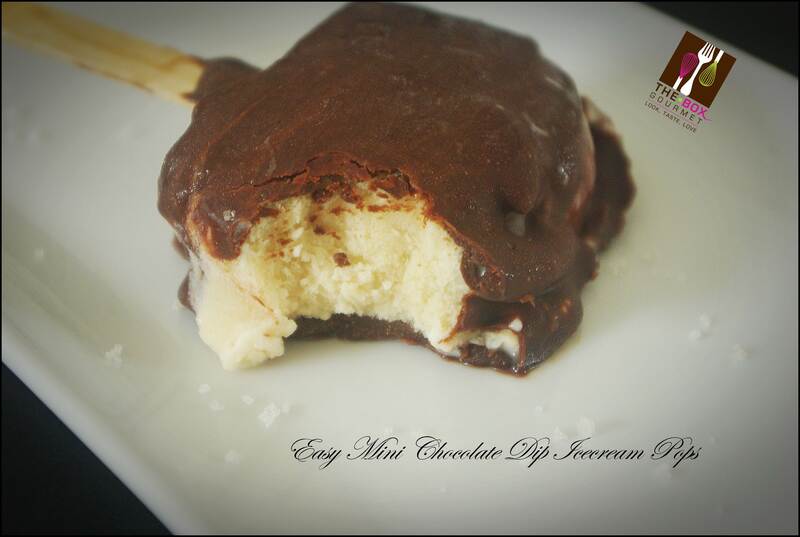 The ice cream slices are then dipped in a hot chocolate topping and frozen three times to achieve an ultra thick shell. 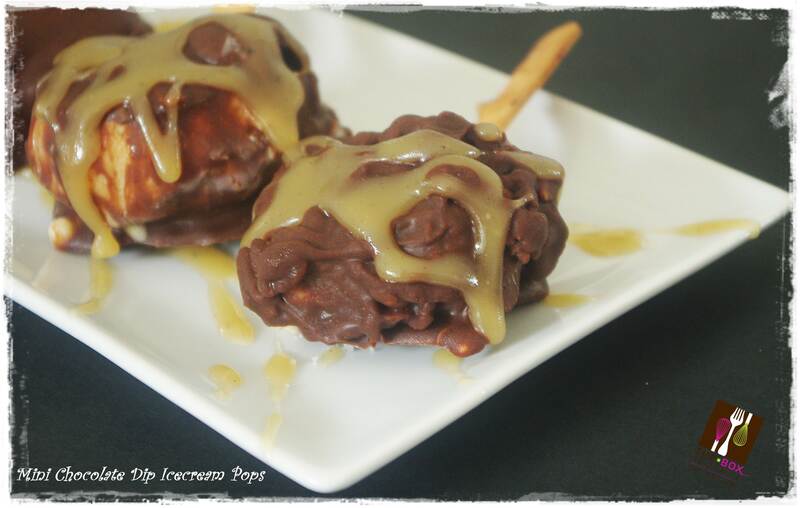 An optional caramel drizzle is added and then the bars undergo further freezing. Add soy milk, creamer, butter, oil, salt and sugar to a pot and bring it to a gentle simmer. Slowly sprinkle in the gum and sugar mixture stirring the mixture. Increase heat and when the custard begins to bubble take the pot off the heat and add the well mixed arrowroot milk mixture. Slowly drizzle in the arrowroot mixture gently stirring. Place the container with the chilled mixture in the freezer. After three hours take out the ice cream and break the ice crystals. Stir vigorously until you are left with a frozen cream. Place back in the freezer. After two hours do the same thing again. After two hours repeat. Transfer into a rectangular or square plastic container and freeze overnight. Follow the directions on the ice cream maker and churn until done. Transfer into a rectangular or square plastic container and freeze overnight. Cut the ice cream in squares, mine measured 2.5 x 2.5 inches. Stick the Popsicle sticks inside and set aside on a line tray in the freezer. Clear your kitchen counter and freezer or any junk …this can get messy and you want decent looking pops.Place all ingredients in a microwave safe bowl and nuke for two mins. Stir well until the mixture is hot and loose (that sounds like an insult). 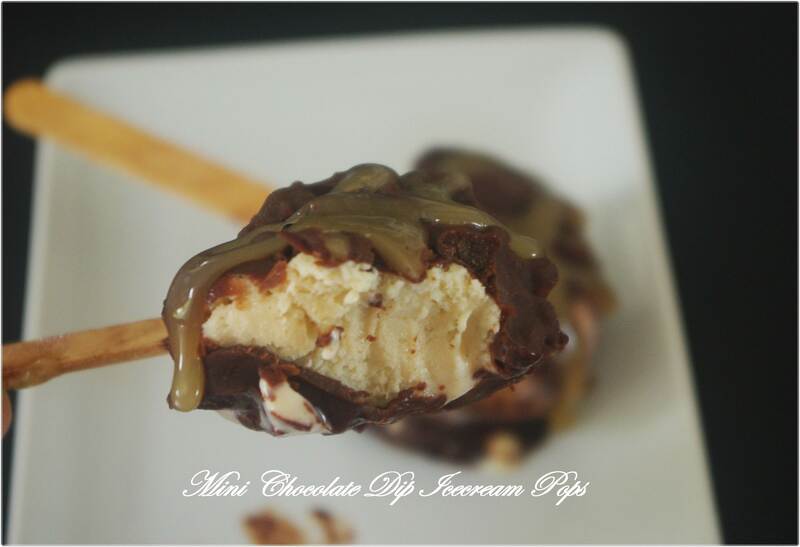 Dip the naked frozen pops in the hot and loose chocolate. Immediately transfer them on the line tray in the freezer. Freeze for a minimum of two hours before giving them to people because you won’t eat all of them right?! I gave most of these to the workmen outside because I follow the rule when you make sweet share. Thank you all for your comments. I have read them all and I will reply in a few days. Thanks for waiting for me when I didn’t think I would come back, listening to my rants about recipe thieves who are still thriving, for the times I was lazy and just wanted to take photos with no recipe. they look sinfully sweet – yum! !